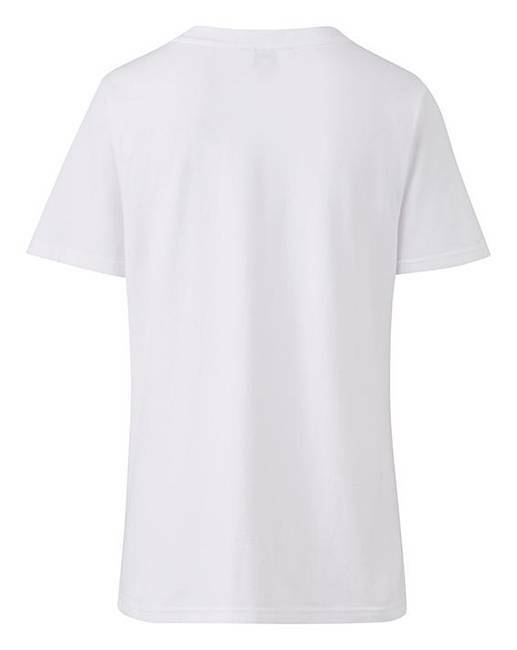 White Perfect Slim Fit T-shirt is rated 4.6 out of 5 by 7. 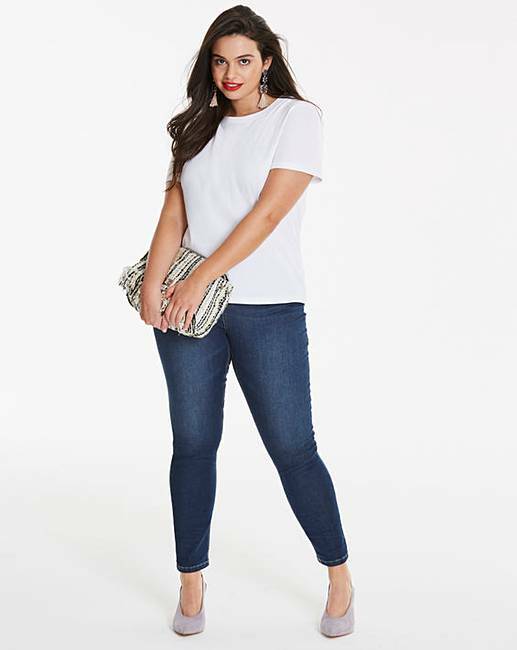 This slim fit T-shirt is the perfect wardrobe essential. 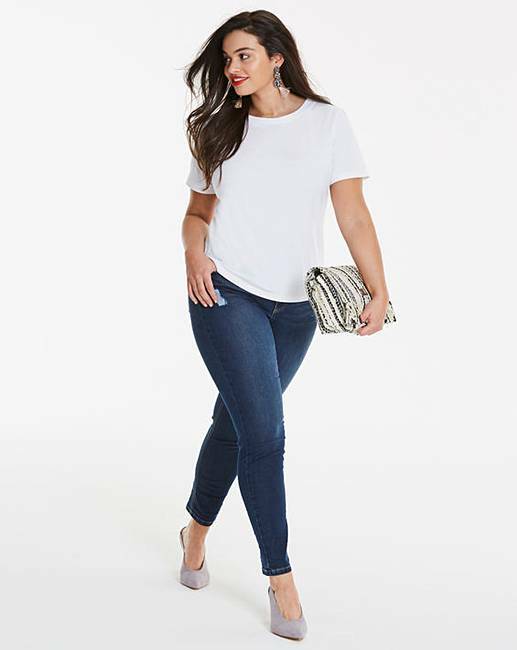 Designed in a slim fit and a soft cotton blend for ultra comfort, perfect for wearing as a layering piece or wearing on its own. 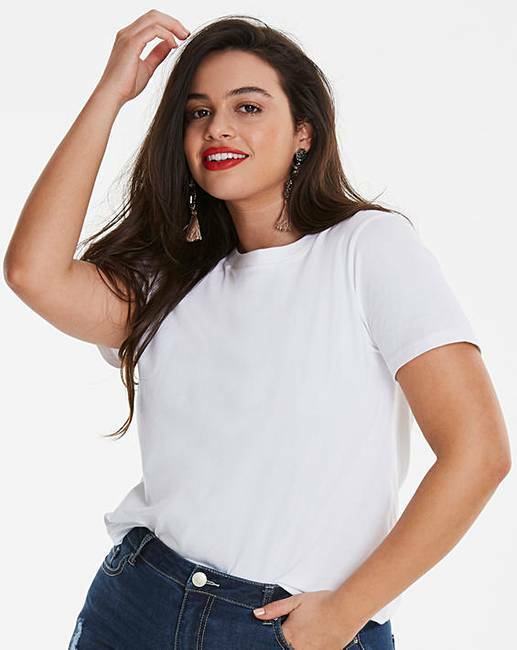 Rated 5 out of 5 by caz from Lovely quality Needed a pure white tee for summer this was near perfect I found it a little large ordered size12but probably could have got away with a 10 it's not a skinny tight fit but looks great with jeans . 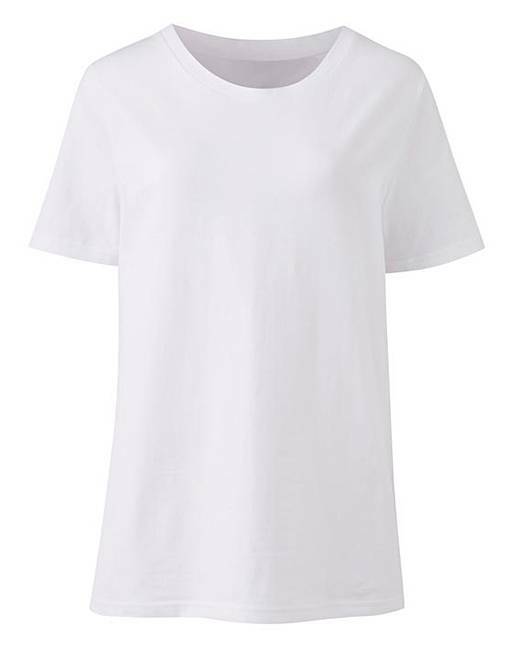 Rated 5 out of 5 by imsd from Great shape A very good quality and shaped t shirt. Very pleased with my purchase.